As a Millennial Business Owner, saying I am glued to my phone would be pretty accurate. Some of that time is spent on e-mails, some on research, some on client messages, but mostly - let’s be real here - mostly it’s on Instagram. And most days you’ll find me mumbling about how instagram is the worsssst and ugh how much I hate being on Instagram, you know, whiny millennial, right? But here’s the thing…Some days I freaking LOVE Instagram. Not because my followers increased, or I got a lot of likes on a post, but because it leads you to meeting some freaking incredible humans. Casi Yost is one of those humans. 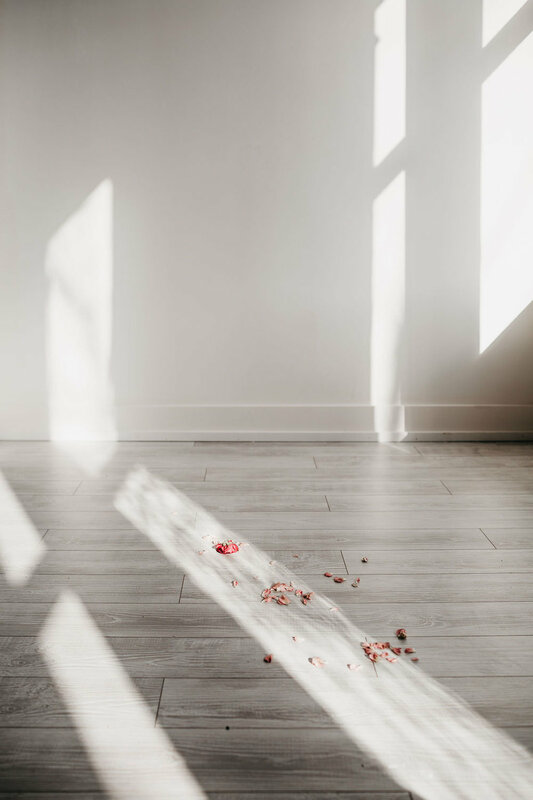 I discovered Casi through IG one day while scrolling through photos of a photography workshop I like to follow, and I was instantly hooked on her work! I followed her, she followed back, a little bit of mutual stalking and a well timed DM later, and next thing I knew, I had a dress shipped off to Oregon, where she is based. Guys, Casi is a magic maker. 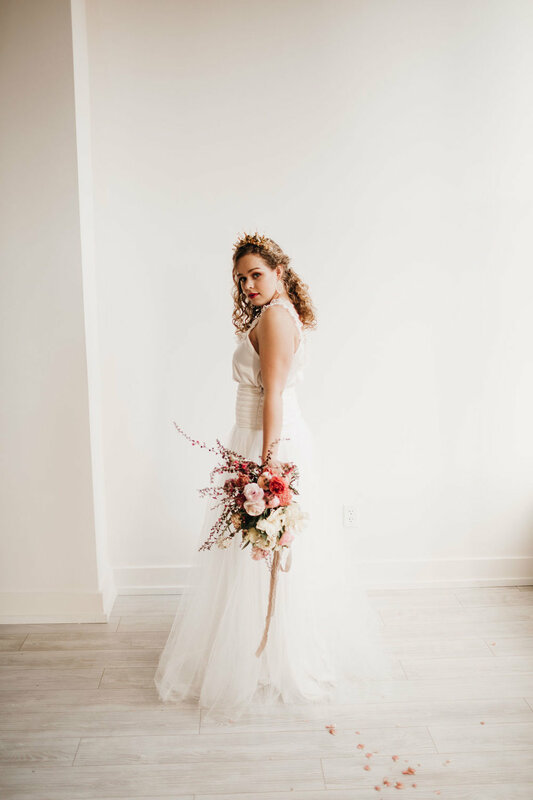 Put her in a simple room with a model and chair (plus very talented hair and make up artists, and insane florists), and this is what you get. 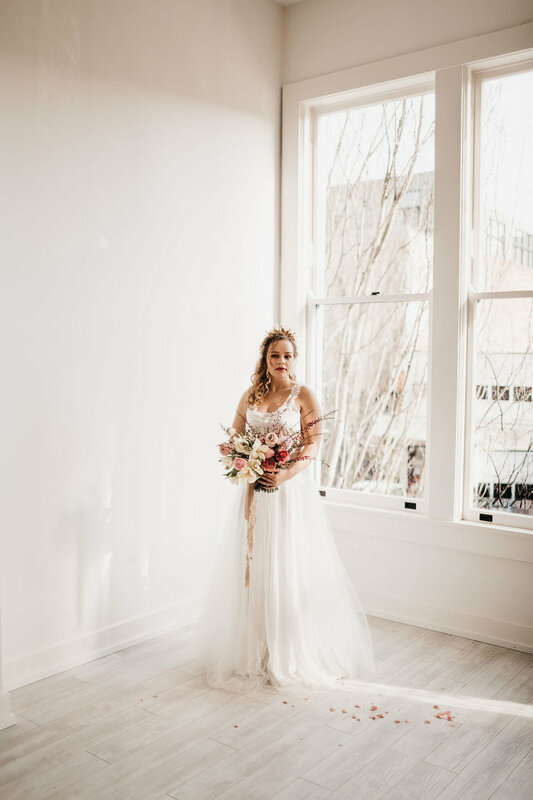 Simple, beautiful bridal portraits. 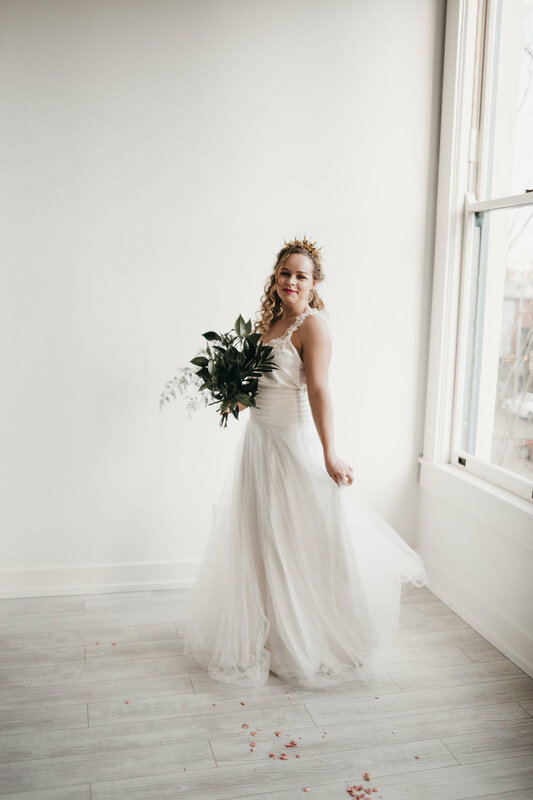 Our stunning model wore our Nova Tank and Skirt which was paired so perfectly with a crown by Stem & Stone Crowns, and the look was complete! Gals and guys and everyone in between, invest in a photographer who will make magic for you. 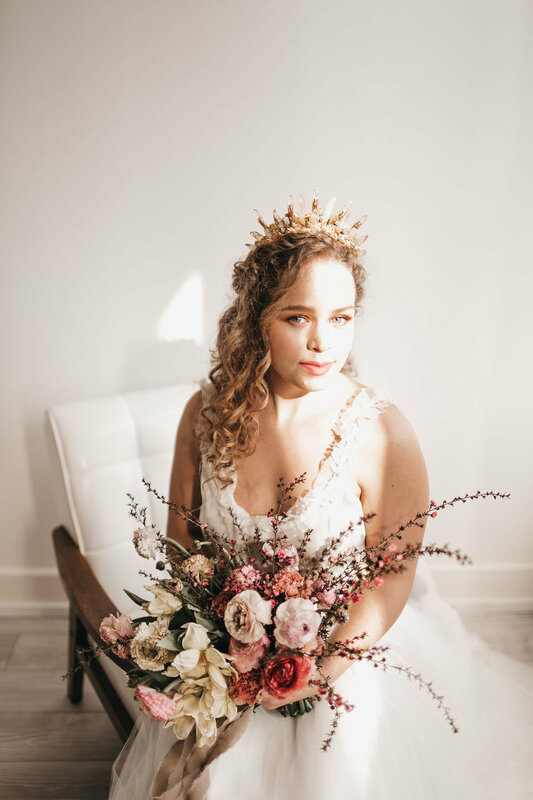 Invest in a photographer that will take time on your busy wedding day to get photos of you individually, and make you feel like a goddamn Queen (or King or Beyonce or whoever your power icon is)! Trust me, you will want these portraits one day. You will want to remember the quiet moments you had alone before seeing your partner- butterflies and jitters and excitement and all. 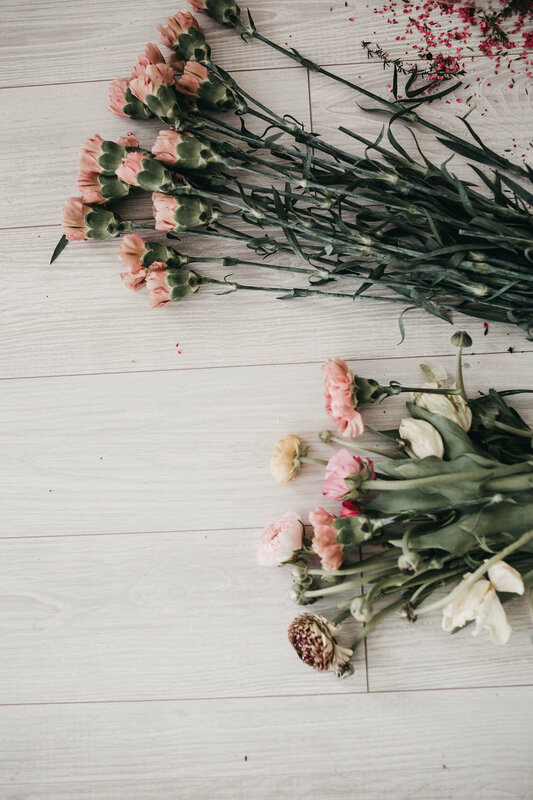 And you will want to be able to look back and remember the person you were then- when your heart was full of nothing but overwhelming love and hope. I absolutely adore the idea of adventure elopements (& any elopements/intimate weddings for that matter)! You and your partner, secluded in nature, looking out at the most beautiful scenery. But, what I find most appealing is the quiet. Maybe its because I’ve lived in loud cities for too long, but getting out into the wild with my partner, and being surrounded by complete silence is the most at peace I can ever be. And that moment, when you’re saying your “I do’s” should be exactly that. Peaceful, reflective, and completely about the two of you standing together and sharing in that moment. We took Nikki out to Bald Rock Dome in Northern California for some bridal portraits. The modern design was the perfect complement to the clean lines of the boulders, and the stark Navy Blue Wedding Dress was the perfect contrast to the light scenery. 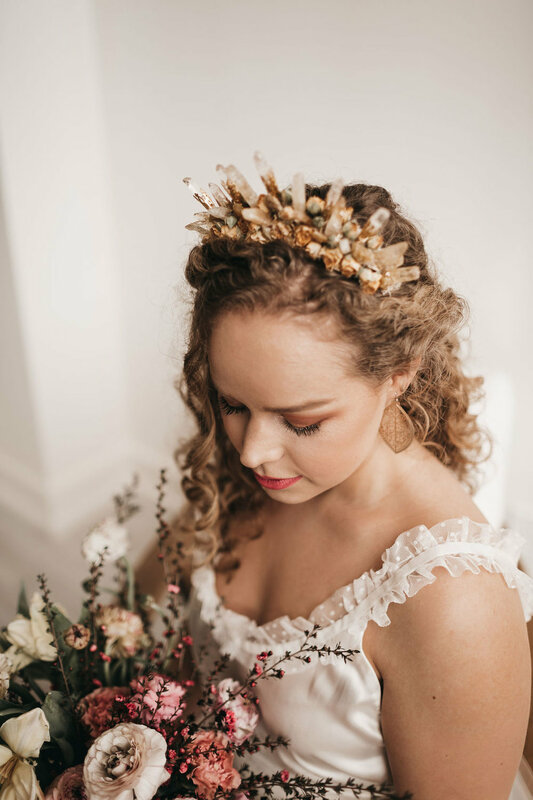 The images of Nikki in our Twilight Skirt and Bodice were beautifully captured by Sean Thomas Weddings - the sweetest husband and wife team of photographers that will make you feel instantly comfortable in front of a camera. I love weddings. I think it is a magical thing to witness two people look each other in the eyes and, overwhelmed by love, string together a bunch of words, promising to choose love each and every day, for the rest of their lives. It's impossible to know what the future holds, but in that moment everything is so certain. All the ugliness and pain and sadness in the world fade away. In that moment there is pure joy radiating from their love. Weddings are outdated. The traditions, the dresses, the decor, the expectations. Traditions can be nice, and by all means if you want to have the world's most traditional wedding do what will make you happy! (but then again, you probably wouldn't be reading this blog post right now...). The bride, is to provide you with endless inspiration to plan the modern wedding of your dreams. To make this whole wedding planning thing a little more fun, and a little less stress. To help you find or create a dress that is so uniquely you that you RADIATE joy. So that you can feel most like yourself when you get the honor of standing next to the person you love, and string together all those words to tell them how you will choose to love them every day. Clothes are so much more than material items. Your wedding dress is so much more than just a dress. Together, lets create magic, so on your wedding day, you can stand next to the love of your life and be INCANDESCENT.